This book deals with the theory, design principles, and application of hybrid intelligent systems using type-2 fuzzy sets in combination with other paradigms of Soft Computing technology such as Neuro-Computing and Evolutionary Computing. It provides a self-contained exposition of the foundation of type-2 fuzzy neural networks and presents a vast compendium of its applications to control, forecasting, decision making, system identification and other real problems. Type-2 Fuzzy Neural Networks and Their Applications is helpful for teachers and students of universities and colleges, for scientists and practitioners from various fields such as control, decision analysis, pattern recognition and similar fields. 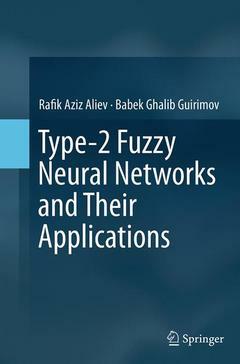 Fuzzy Sets.- Evolutionary Computing and Type-2 Fuzzy Neural Networks.- Type-1 and Type-2 Fuzzy Neural Networks.- Type-2 Fuzzy Clustering.- Application of Type-2 Fuzzy Neural Networks.